It’s summer. And it’s music festival season. 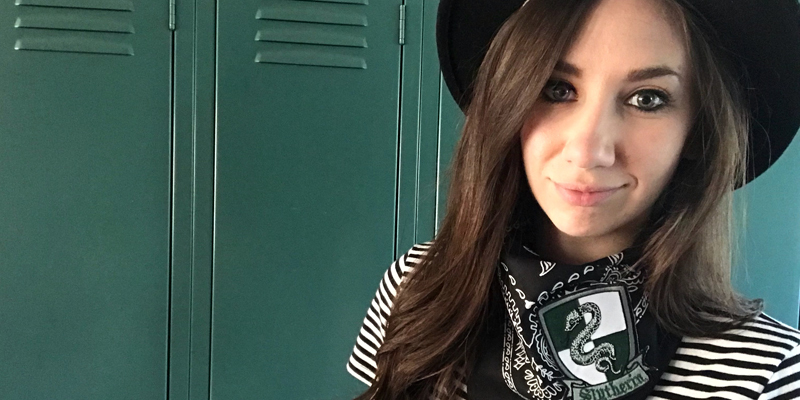 I’m headed to Bonnaroo again this year, but instead of following all of the Coachella fashion trends, I’m determined to put my own geek chic spin on some classic festival staples… bandanas and flower crowns. 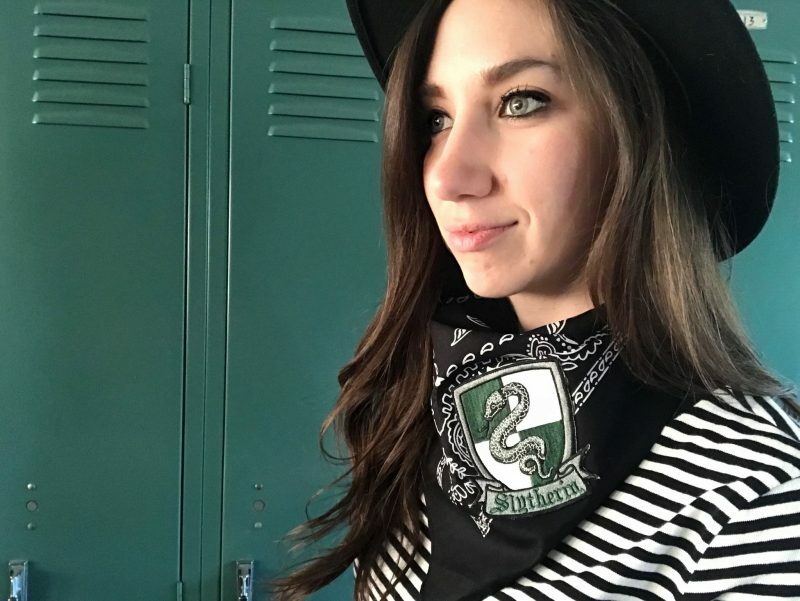 First up is my DIY Slytherin bandana. If you’ve been to a music festival before, you know that the concert grounds can quickly get dusty. 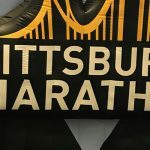 With all of the concert goers walking, running, and dancing around the grassy areas of the festival, it’s no wonder your allergies and clothes are full of dust by the end of the day. That’s why bandanas are your friend. Wear them around your nose and mouth to keep from breathing the dust, dampen them to stay cool, oh, and use them to amp up your classic, grunge style. But don’t go plain. 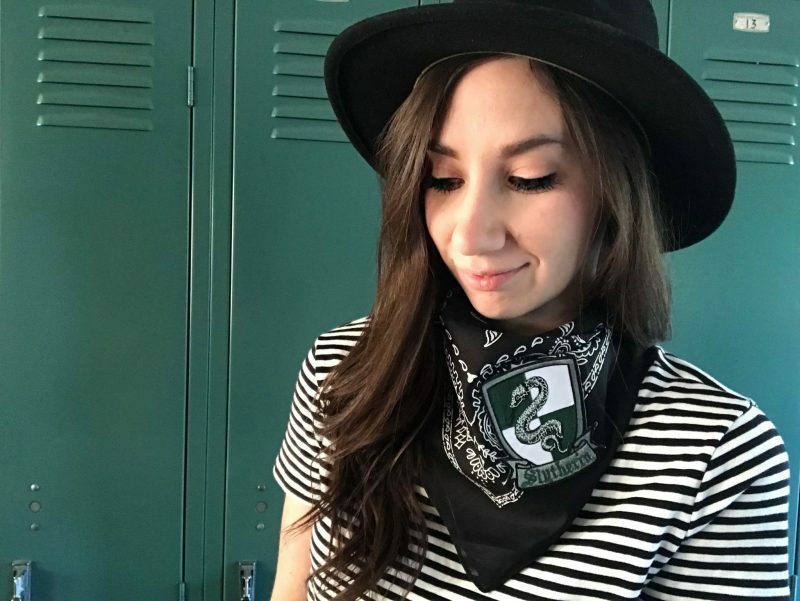 Add some geek chic vibes to make your favorite bandana unique to you. The best part? This is probably the easiest DIY I have ever done! 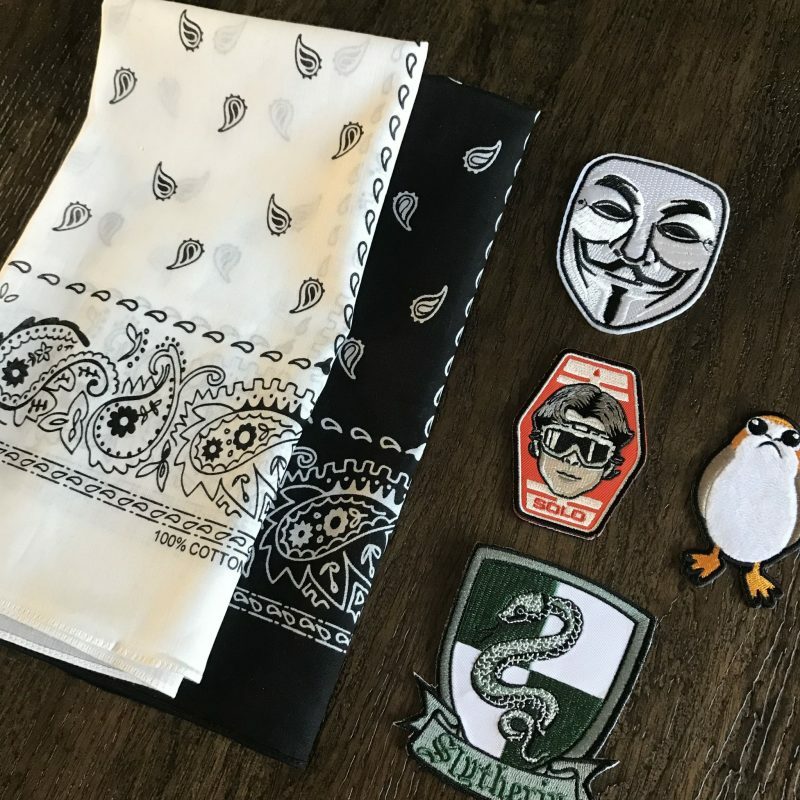 All you need is your favorite color bandana and some fun, geeky patches. My go-to patch stop is Hot Topic. I found my classy Slytherin seal, this adorable, fuzzy porg, and a fun Solo patch. (Bonus – it was buy two, get one free when I was there this week!) I’ve also found that Amazon is a great place to search for patches. That’s where I purchased my V for Vendetta patch, and they’ve got a ton more fun ones to browse through online. 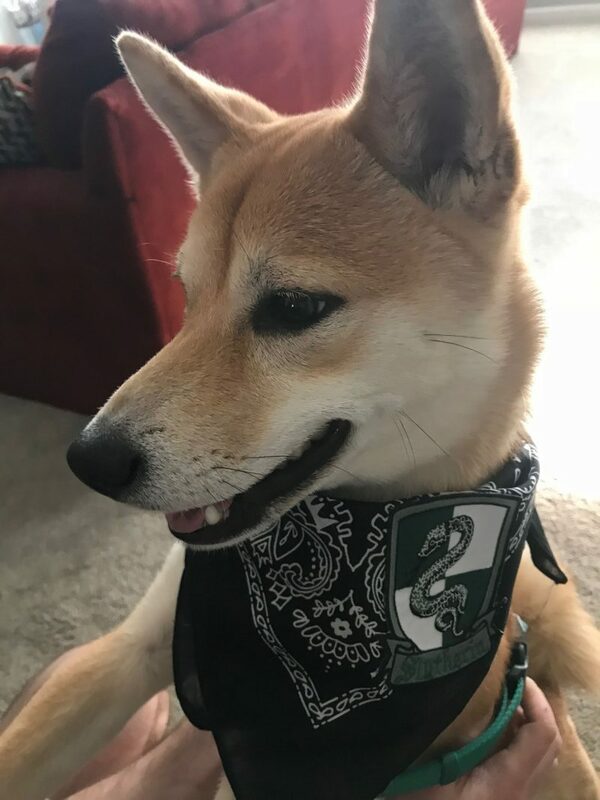 For my first bandana, I’ve decided to rep my Slytherin house crest. (An obvious choice, I know.) S/O to all of my Slytherin classmates and fellow ‘roovians! 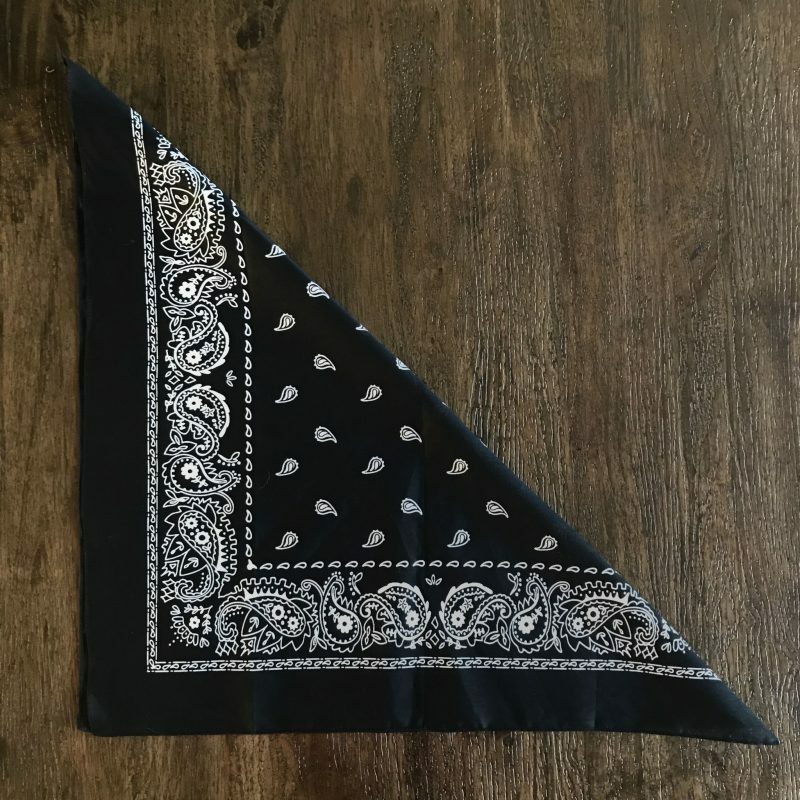 To get started, iron your bandana to smooth out any wrinkles. Next, fold your bandana to your liking. For my bandana, I chose to fold it in half diagonally. 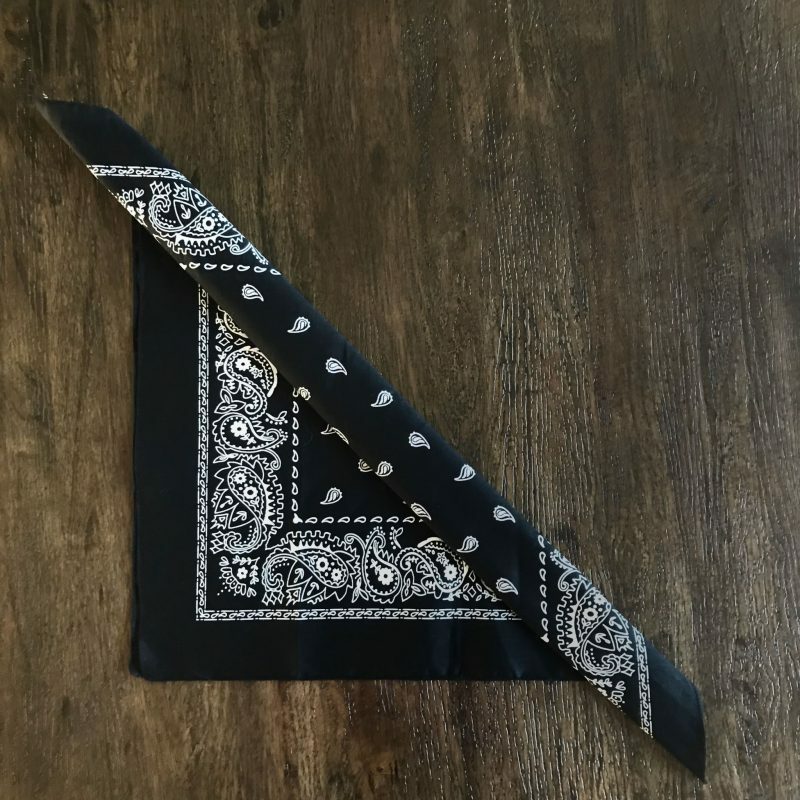 Then, I folded over a piece that was about an inch to an inch and a half so that the triangle section of the bandana was the right size for me. 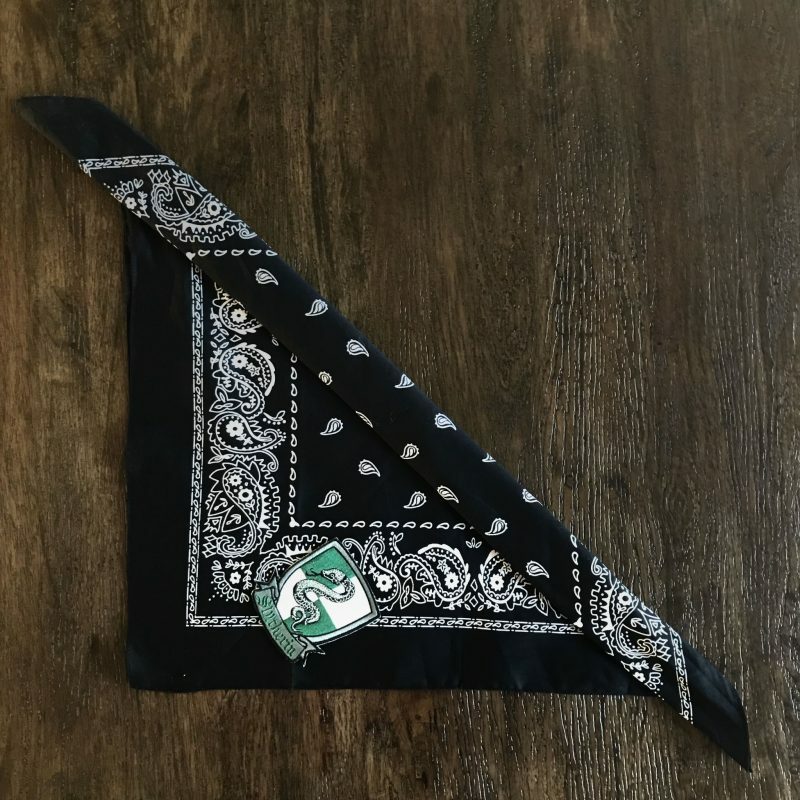 Try on your bandana to get an idea for where you would like your patch to lay when you’re wearing your bandana around your neck. Then, untie your bandana and head to your ironing board. 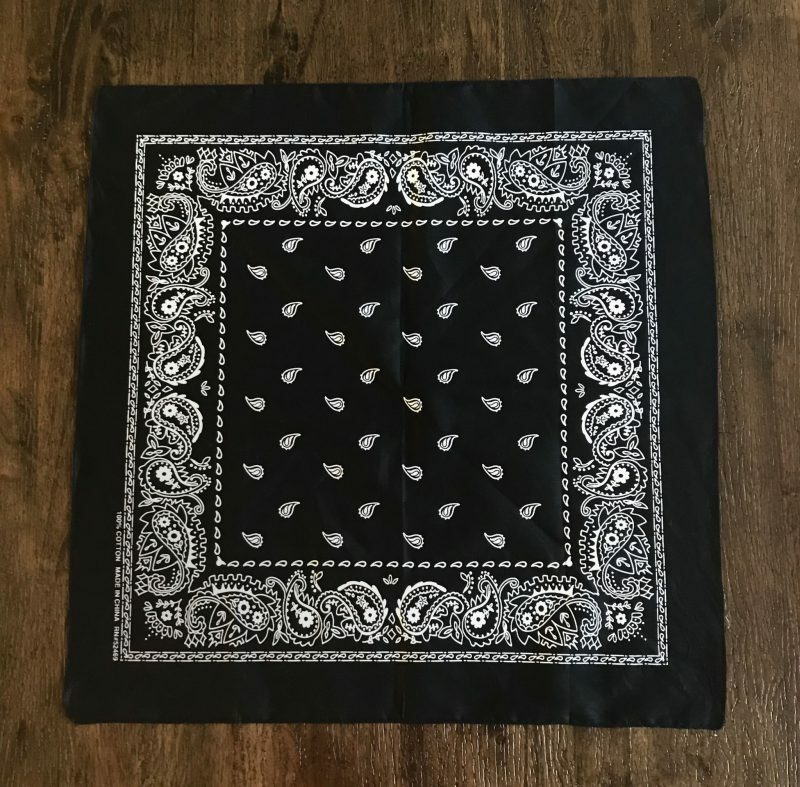 Place your patch on top of your bandana where you’d like it, and then lay an extra bandana or a light cloth over top of the patch. Next, place your hot iron on top of the patch for 15-20 seconds at a time. 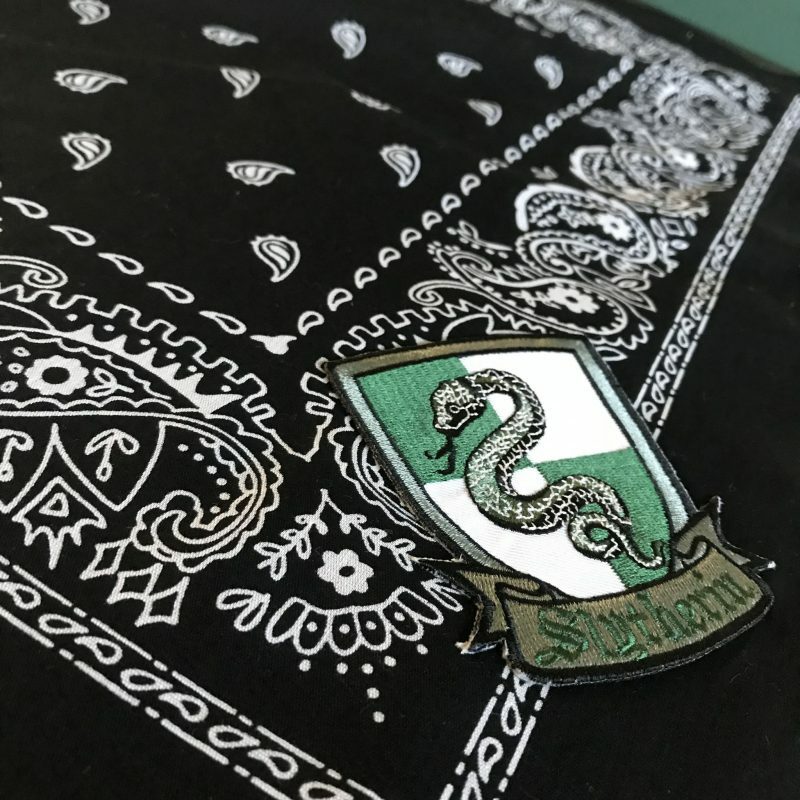 Repeat until your patch is adhered securely to your bandana, and then flip your fabric over and iron the back of the patch just like you did for the front. Bonus! 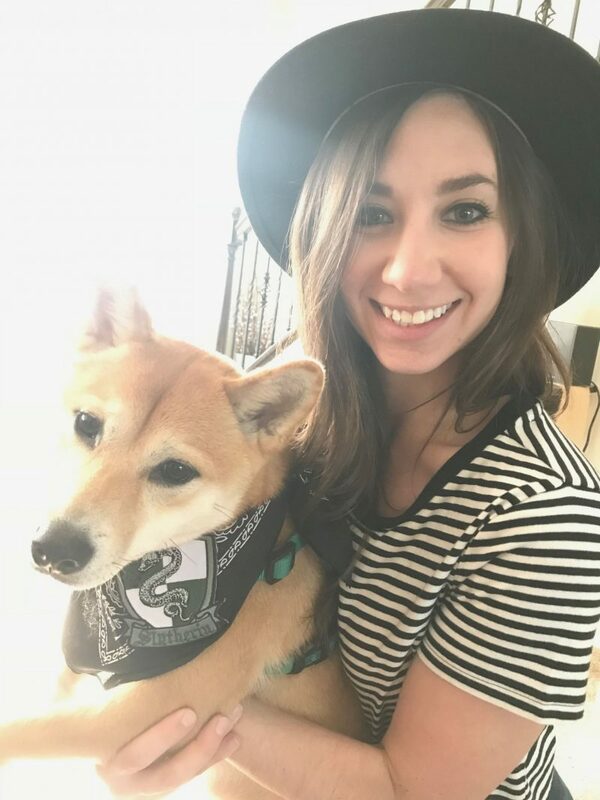 Geeky bandanas are also fashionable for Shiba Inu puppies. 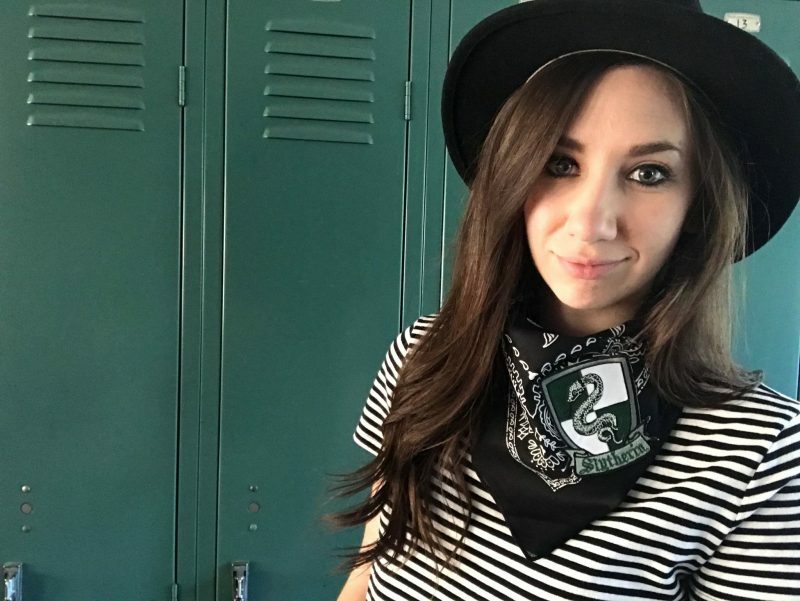 Good thing we were both sorted into Slytherin! YeSSS! Love this- it’s simple but adorable! 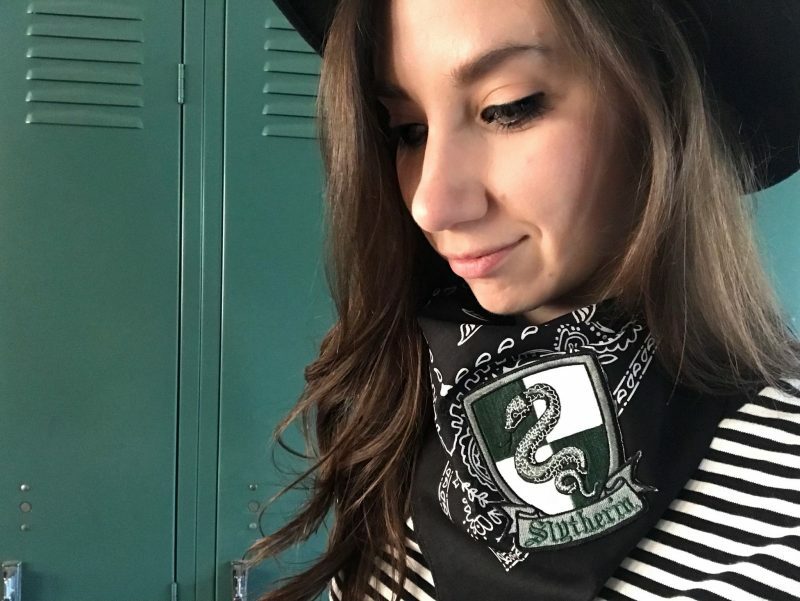 (Slytherin for life!) 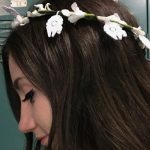 I have some quirky patches I think would look good with bandanas this way, so thanks for the inspo! 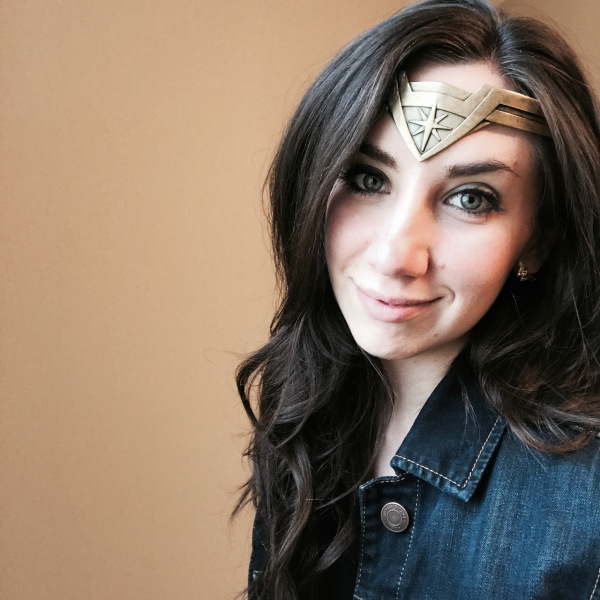 It’s such an easy DIY — but I love the way it turned out! Can’t wait to see yours! This is really cute, but bandana’s aren’t my style. Perfect for the pets though.